Diane MacDiarmid joined QuadReal as Chief Talent Officer in June 2016. She focuses on developing and implementing Human Resource strategies and practices that support and enable QuadReal’s performance and growth. Diane has many years of experience in HR leadership roles and as a consultant to North American companies on issues of strategy, organization design and leadership effectiveness. Diane holds an MBA from York University and a Bachelor of Applied Science (Civil Engineering) from Queen’s University. 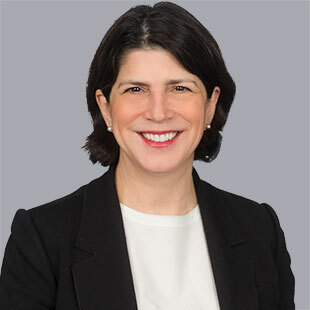 She is a member of the Boards of Morneau Shepell and Altus Group, where she Chairs the HR Committee of Morneau Shepell, and the Governance Committee of Altus Group. Diane is most excited about working with the phenomenal employees of QuadReal to build a truly great company.